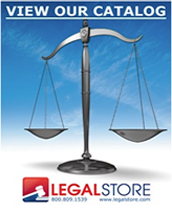 Throughout 2013, LegalStore.com will award an outstanding staff member of a law practice who embodies the standards for excellence and client service. The Monthly MVP honoree selected will receive a $250.00 Visa® Gift Card plus a recognition plaque plus be eligible for the Annual Most Valuable Player Award. The Annual Most Valuable Player honoree will receive a $1,000.00 Visa® Gift Card plus a recognition plaque.